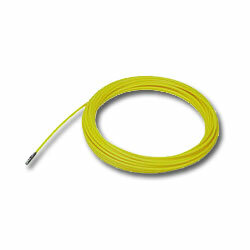 Fiberglass is specially designed fish tape for safe installation and is 3/16 in. in diameter. Featuring a non-conductive fiberglass core with an outer nylon coating, it's perfect in office retrofit environments. Reduces jamming, friction, abrasion, and provides twice the pull-out strength of other brands.